No problem with running this length in a 1 x 11 x 42 and a 30 tooth chainring. 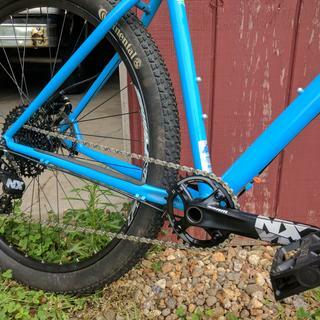 I have an 11 speed GX drive train on my Santa Cruz Hightower and the chain needed replacing. This is the same chain that came with the bike and Jenson has it for 20 bucks. Super easy to replace and it works perfect. I almost bought a more expensive chain, but I'm glad I went with this one. Works well on my bike, shifts smooth and is still going strong. this was the chain that came with my Capra, Sram GX groupset and it works perfect, it last around 6 moth in my case. Great chain that is easy to trim; install, and maintain. I am using it with a SRAM XO drivetrain on a Salsa Pony-rustler and it is perfect at a great price point. Excellent chain for the money, can not tell it from pricier chains. Why spend the extra money on a high wear item that needs to be changed frequently? Chain installed easily. Quick link went together without a lot of force. Shifting seems really nice. About the same weight as the next cheaper version. Was a little bummed about that but the external finish is nicer on this one and as mentioned, very nice shifting and low noise. Great chain. Uses the master think for easy removal and adjustment. Great for a 1x11 setup. Good chain, good durability, and it comes at a good price. No reason to look elsewhere. You need a chain. This one works. I can't imagine the premium offerings really being any better than SRAM's base 11-speed chain. Jenson USA ships fast and gets you the things expeditiously. 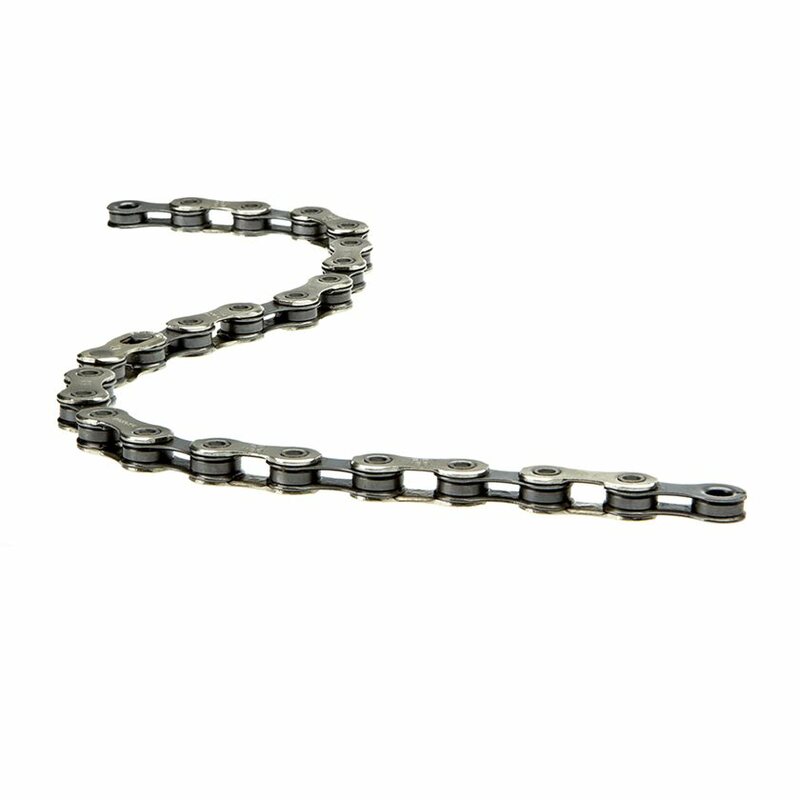 This chains is a good chain for commuting and getting long mileage about 4K. I love the PowerLock because it makes it easy to switch chains quickly. Easy to instal. Performs as advertised. I like the vids SRAM posts on YouTube. They wear out quick, but do shift and perform well. I have never snapped one with is a plus. I get about 500 miles before its hitting the replace marks on the chain wear indicator. At least they are fairly cheap. Will this work on a Shimano 11 speed road group?